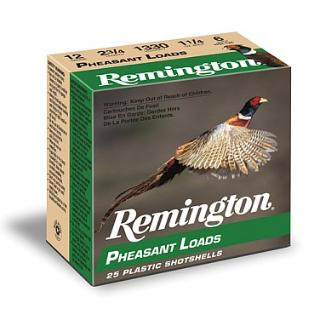 For the broadest selection in game-specific Upland lead shotshells, Remington Pheasant Loads are the perfect choice. Their high-velocity and long-range performance are just right for any pheasant hunting situation. Standard high-base payloads available in 12-, 16-, and 20-gauge and feature Power Piston one-piece wads.